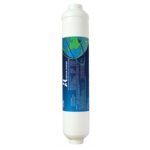 AEKAR WATER 5 micron sediment filter is PurePro water purification products which is made by Anti-Bacteria. High capacity filter removes dusts, particles and rusts. Product comply with FDA test standard. Anti-Bacterial: 99.70%, Use 100% pure PP fine fiber. Product series have been passed the test in accordance with the filtering effect test of ANSI-NSF standard 42-particulate reduction class II-V of U.S.A.
AEKAR WATER granular activated carbon filter is PurePro water purification products which is composed of high-performance activated carbon that remove free chlorine, odor, organic contaminants, pesticides and chemicals that contributed to taste and odor. 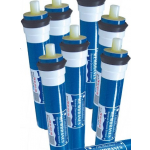 AEKAR WATER 2.5" diameter SDF cartridges coreless design is PurePro water purification products which is an economical solution to pre-filtration applications. 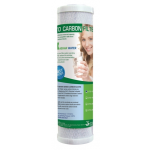 AEKAR WATER carbon blocks filter is PurePro water purification products which is manufactured with high purity Coconut Shell activated carbon. 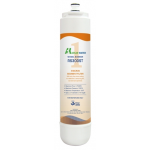 AEKAR WATER inline filter is PurePro water purificaiton products which utilizes coconut shell GAC and are designed to remove unpleasant taste and odors as well as sediment to produce cleaner, clearer, better tasting water. 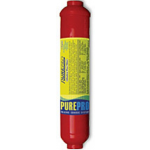 PurePro membrane made in USA. 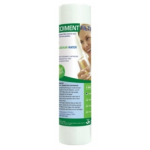 PurePro supplies a complete line of TFC (Thin Film Composite) residential membrane elements which utilize the most advanced membrane film technology and manufacturing processes. 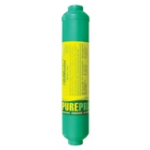 PurePro mineral filter improves the quality of clean water by adding necessary minerals for proper human development and health, such as Calcium, Magnesium, Sodium, Potassium and others readily found in many natural mineral water. 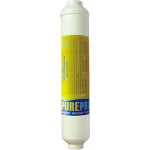 PurePro alkaline filter simply gives back minearls such as ionized calcium, magnesium, sodium, potassium ion, which were taken away while purifying the water. 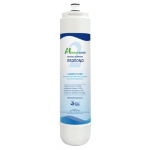 PurePro alkaline plus filter changes the acidic RO water into a perfect natural alkaline water. It will reduce acidity in the body and it will produce natural calcium, magnesium, sodium and potassium ions that can be absorbed 100% in he humand body.